Wow. What a week. I’ve been flooded at work – not with work, but with tearful phone calls of surrender from home. We’ve had a trying time of late. At the centre of it is, of course, one three-and-a-half-month-old eager to live beyond his years, and a strict sleep routine we’ve tried to dupe him into. Freddy sleeps predictably at night. Down at 7, up at 7, with two well timed feeds in between. During the day, he has a mind of his own and two eyes for life. He’ll sleep, but only when he’s in our arms or out of the house. And he’ll only sleep for 40 minutes at a time. That doesn’t really suit us, and we fear that if we encourage all this, he’ll forever reject his cot for an afternoon nap, we’ll never get anything done, and we’ll continue to feel like we’re losing the plot. 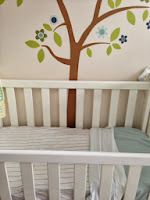 A fortnight ago we invited a “sleep expert” into our lives. Tizzie Hall is the author of Save Our Sleep. She boasts to have started helping parents settle their babies when she was nine years old. She is the self-proclaimed “International Baby Whisperer” and her role was to help resolve Freddy’s daytime insomnia. The title of her book is deceptive. She cutely refers to it as S.O.S. but in my world, it’s prompted nothing but Mayday calls of a different kind. You see, Freddy barely sleeps from the moment he wakes up at 7am. We know the amount he gets is insufficient and that it’s our duty to change this. Tizzie Hall agreed. She wrote: “sleep deprivation was used as a form of torture during the world wars”. This is where our common-ground ends. S.O.S., if testimonials on parent forums are to be believed, is the bible of baby sleep books. For a baby Freddy’s age she advised he be up at 7 for a feed, down at 9 for a two-hour sleep. Feed at 11, sleep at 1, milk at 3, “nap” at 4.30 but don’t let them sleep beyond 5.15, dinner at 6.30, down at 7 for the night (dreamfeed at 10.30). Up, down, up, down – all day, every day. No room for error. It’s a strict regime, and it turned us round the bend. The world is not ready for more international baby whisperers. Aside from simply getting him to sleep, our challenge is where we let him sleep. He won’t sleep in his cot because ... well, I don’t know why, he just won’t fall asleep in his cot when it’s daytime. We put him down there, and we’re committing ourselves to desperate, blood-curdling screams, and a sweaty, vulnerable and tear-soaked baby. We can’t keep him up – that’s torture. We can’t keep him screaming in a bed he doesn’t want to be in – that’s also torture. We can’t let him sleep out of his cot, either in our arms or on the road – that’s breeding bad habits. On paper, Tizzie Hall makes sense. But her advice raises expectations to unachievable levels; enough to make any parent feel they are failing, struggling or losing the grip. All babies need different amounts of sleep, but all babies need sleep. What babies also need is compassion. Replacing the militancy with more affection benefits everyone. Is it such a bad thing that every once in a while, Freddy dozes on his mother’s chest after a feed. It’s such a beautiful sight, afterall. Tizzie Hall has had us in a tizz – she chose an ironic nom de plume. So, we’ve ditched her advice. On Friday, we started a new approach. It’s tailor made; we lowered the expectations, and it’s kept our sanity in check. It’s called: Dan and Anna’s Guide to Freddy’s Sleep and our Happiness. It won’t reach the bookshelves, but it may just save our souls. P.S. – I wrote this early last week, but didn’t publish it because my wife came down with a bout of severe food poisoning. Since then, things have slightly improved on the home front. I’m not saying that because I was around I had something to do wit it, but Freddy’s starting to sleep more during the day and he’s in his room. We’re putting it down to patience and a happier household. 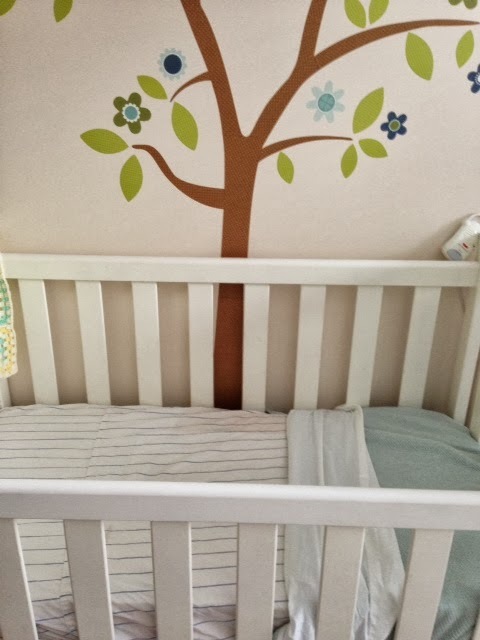 This is Freddy's cot during the day, and this is as occupied as it usually gets. You're right to put the book down! Pick it up in another 6 weeks and see how you feel. Repeat. Good luck! I think it's down and out Nat. Just not for us. Thanks for that MM. We don't have a sling, but I might go out and buy one. What a difference a week makes...we're calmer, he's happier and he's starting to sleep more. But it's all about reading the signs. He still puts up a bit of a protest, but overall, he's getting there. Fingers crossed. SOS was attempted here when #1 was 12 wks. When it makes EVERYONE cry, you know it's not the answer for you! We had a baby who didn't sleep at night either - thank heavens for Tresillian. #2 (close to Freddy's age) has been kinder to us... Sleep school is a much more gentle method for parents and baby than SOS if you need more support. Life is hard when babies sleep strike! Hope your wife is fully recovered. You're absolutely right...and it just about made everyone cry. My wife went to a council-run sleep session today and got a few tips. We'll see how they go. I'm always hopeful. Thanks for stopping by Lexi.